Body Modern is a labor of love, a long-time obsession. 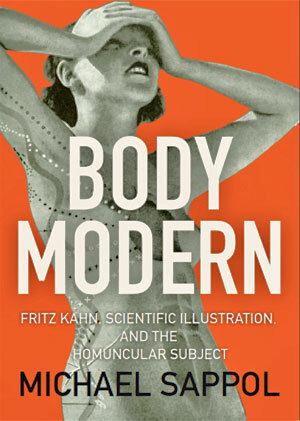 Fritz Kahn’s prime directives are now our everyday common sense, the prime directives of our civilization: You can’t just say it, you have to show itâ€¦ And when you show it, you have to put on a showâ€¦ Body Modern is my show. I began research on it, under the working title “how to get modern with scientific illustration,” way back in 2005. Over the years, the writing was much delayed due to professional and family obligations, a crazy international romance, and then a long period of liver disease and declining health. 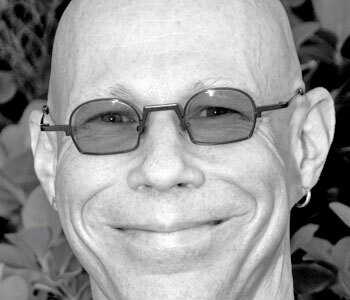 In 2011, when I was diagnosed with liver cancer, it looked like that would be the end of me and the end of my project. But in 2012, I received a liver transplant. And in 2013, I was able to resume work. “Man as Industrial Palace” uses a doll-house cross-section profile, with a sequence of multiple images within the image, to model the self in industrial modernity. It was a commercial and critical success, and became Kahn’s signature work. But Kahn well knew that the public appetite for images, and for novelty, was voracious, insatiable. He and his artists (“studio of Kahn”) went far beyond, were inspired to develop many other genres and tropes of visual explanation: the body flow-chart, the fantastic voyage inside the body, the dramatized body statistic, the architectural body, the modular body, the global body, the mixed media body, the radiant body, the visual synopsis, and so on—all richly and often humorously imagined in a variety of modern styles. Those images today come to us as an obscure and complex corpus of modernist image production, a relic of a larger vernacular modernism that scholars of modernism have mostly overlooked. But in their day, the images spoke to a mass audience. Readers got to see modern machines and cities and buildings and science and aesthetics—and themselves—all in the frame of a single image, and in many images, and in many sets of images. An impossible variety of figures, all under the sign of the modern. Body Modern makes a variety show out of that only partly coherent corpus, and provides 21st-century readers with close readings of selected images and their genres and contexts. And then uses those images to think aloud about the cultural work that prolific representations in bulk did to 20th-century readers and, in a different way, do to us. Because, if we are inhabited and explained by figures and forces and devices, and if we inhabit them back, then the territorial singularity of the individual self—a hallmark of modernity in its “classic” high industrial phase—falls to pieces, becomes utterly undone. The sharp boundary between embodied life and technology and industry and representation and collective groupings of humanity is impossible to maintain. And so, “Man as Industrial Palace,” an icon of Weimar technological optimism, now graces the cover of the most recent English translation of Deleuze and Guattari’s Anti-Oedipus, an iconic ur-text of postmodern critical discourse. And, along with many other pictures from the studio of Kahn, serves as an object lesson in a brand new essayistic work of history, Body Modern.